A truly beautiful way to honor the passing of a child. 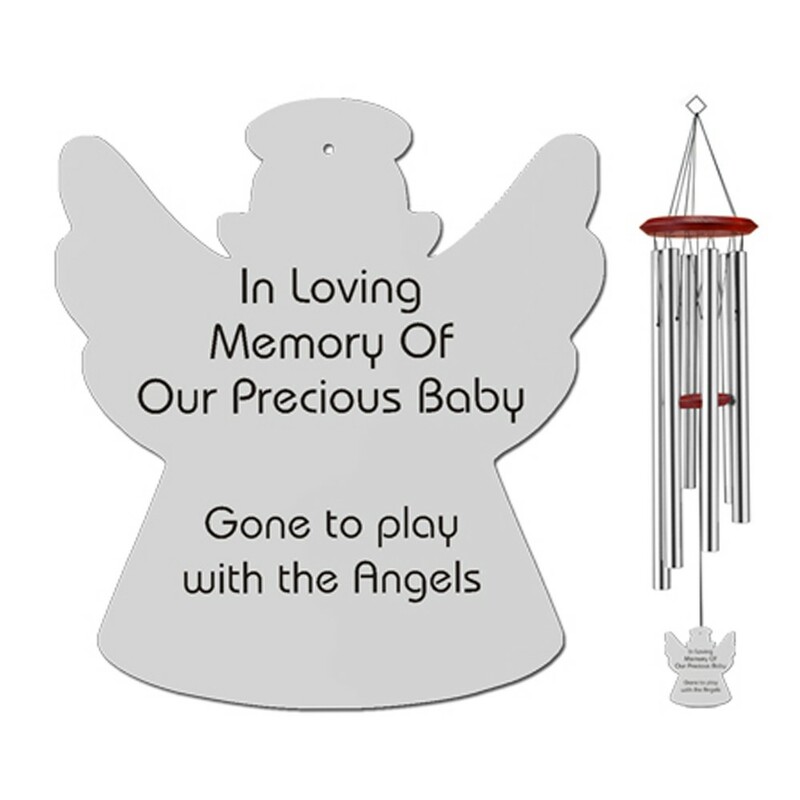 This is the perfect memorial gift idea for those grieving such a tramatic loss. The portion of the wind chime that is made of wood is Ash hardwood. A beautiful deep dark red stain is then applied and is protected by a UV resistant urethane which will protect this wind chime for years to come. The pentatonic scale designed tubes are made of non-rusting aluminum and then coated with non chipping bronze or silver coating. The wind sails are made out of a bronze or silver UV resistant acrylic. The expertly engraved sails are on both sides in black. Due to our unique precision tuning, these wind chimes are known for their beautiful sound. They have been designed to provide beautiful music from even the slightest breeze.